Anglican worship and witness began in Wallsend within a year or so of the establishment of the coal mine and town by the Newcastle Wallsend Coal Company in 1861.The company gave the block of land on which the church is built in 1862, and sold the second block to the church in 1863 for one shilling.The Rev’d TL Dodd, Rector of Hexham, was directed by Bishop Tyrrell to begin services at Wallsend. These were held in the blacksmith’s shop at the mine until a large timber-slab school-church was opened on 12th March 1864. On the death of Rev Dodd, seven months later, Wallsend was attached to St. John’s Newcastle for three years. The PARISH OF WALLSEND was set up under the Rev’d JS Wood in 1867. 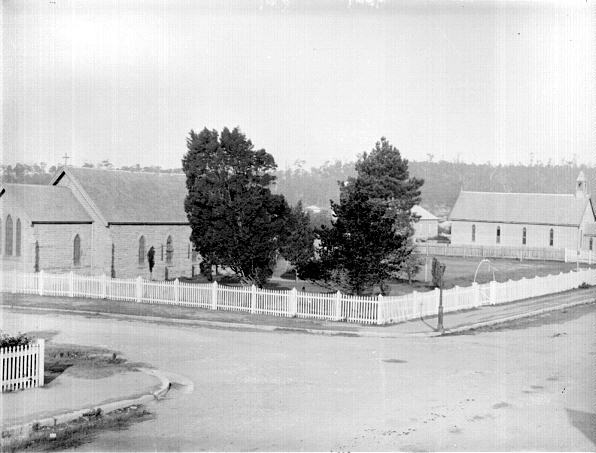 Extra churches were built at Waratah and Lambton, but the parish declined financially, and after Wood’s departure in 1877, was attached to Wickham parish until 1880. The Rev’d W Tollis was Rector of the resurrected parish in which the present stone church was built in 1880. Wallsend Rectors served Minmi (1880-1896), Lambton (1867-1876) and (1897-1907), Belmont (1880-1887), Edgeworth (1908-1924) and Birmingham Gardens (1938-1960). The present rectory was purchased in 1976. ST. LUKE’S CHURCH stands at the back of its block because the original wooden slab school-church and teacher’s house occupied the front portion. The old building was replaced by a Sunday School Hall in 1889, and this was moved to its present position on the Thomas St end of the site circa. 1904. The ST. LUKE’S CHURCH CENTRE was opened in 1964. A major renovation of the church took place in 1975 and again in 1996 when the earthquake damage of 1989 was repaired and the building was re-roofed and repainted in heritage colours. In recent years, major drainage works and landscaping of the Columbarium, driveway and surrounds, have been undertaken to very pleasing effect. St Luke’s has provided a place of worship, education, community service and recreation for over 145 years.From 1864 until 1880 the church ran a successful day school. Sunday Schools, youth clubs and sporting teams have served the young.For around 30 years from the 1960’s, St Luke’s Parish Centre was the venue for a pre-school. Since 1986 St Luke’s Day Care Centre for the frail and elderly has operated in the parish hall, staffed by parish volunteers. However, at the heart of St Lukes has always been, and still is, the worshipping community. The present church was constructed in 1880. It is built of Lambton mud-stone, almost certainly from the North Lambton quarry.The Foundation Stone, now lost, was laid on July,1880 by Archdeacon Coles Child. It was opened and dedicated to Saint Luke on 12thDecember,1880 by Bishop Pearson, and was substantially as you see it today. 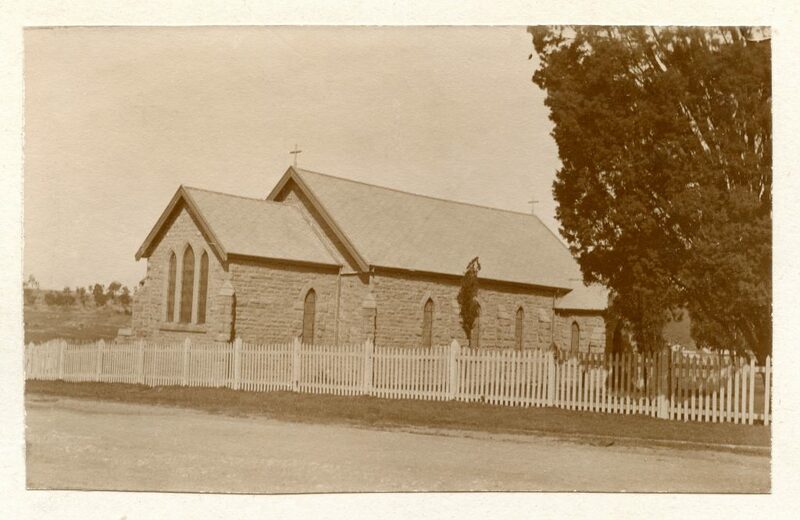 The church was free of debt and was consecrated by Bishop Stretch on 23rd October, 1910. Of the furnishings, the cedar pews (made locally), the font (carved from a single block of stone) and the outer two sanctuary chairs are original. 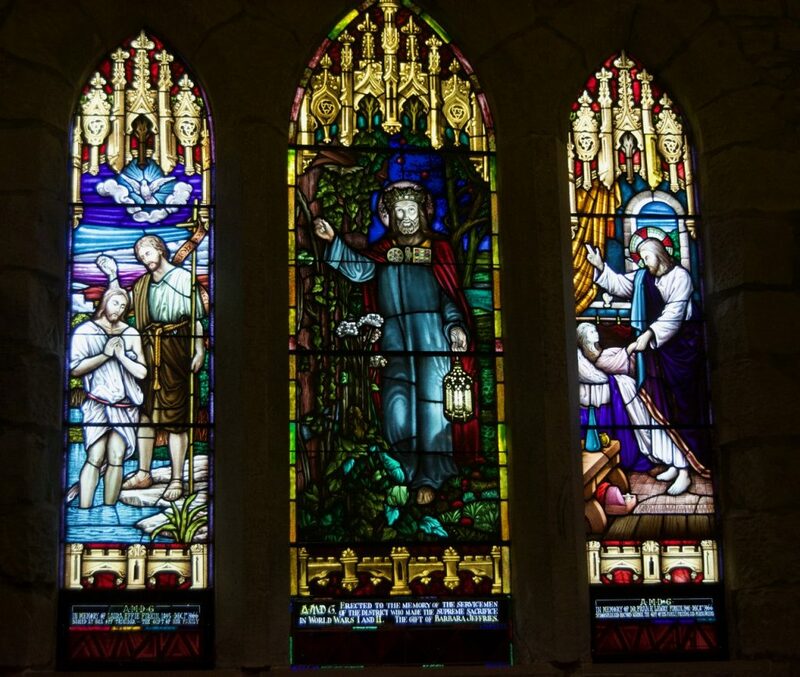 The stained glass windows are particularly noteworthy. So also is the marble plaque on the south wall in memory of John Young Neilson, first manager of the Wallsend Coal Company and supporter, guide and benefactor of St Lukes for its first 25 years. The 1975 renovation saw the timber work restored to its natural colour, plaster removed from the walls to reveal the stonework, full carpeting laid for the first time (now replaced), and much-improved lighting installed. The sanctuary was re-arranged for the liturgical practice of the era and the organ and font were also relocated. Of special interest is the Walker Pipe Organ which is older than Wallsend itself. It was built in London in 1855 and used in St Paul’s and St Mary’s, Maitland before being bought by St Luke’s for 100 pounds and brought to Wallsend by river boat (and presumably by train). It, too was fully restored in 1975 and is a priceless part of St Luke’s.The Bell Tower was built in 1975. 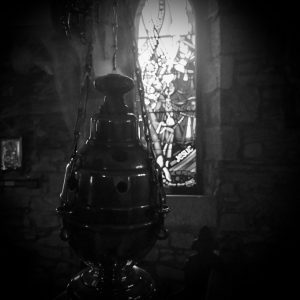 The smallest bell is the original from the first St Luke’s. It also hung at the Sunday School hall (old parish hall) and under the eaves of St Luke’s prior to 1975. One of the larger bells came from the fire station at St Mary’s NSW. The Icon of Our Lady of Kazan was a gift from the Russian Orthodox Church. On August 27th we celebrated the 150th Anniversary of the Parish with a festive eucharist with Bishop Peter Stuart. The service was well attended by parishioners and locals, including our local state member, Sonia Hornery. 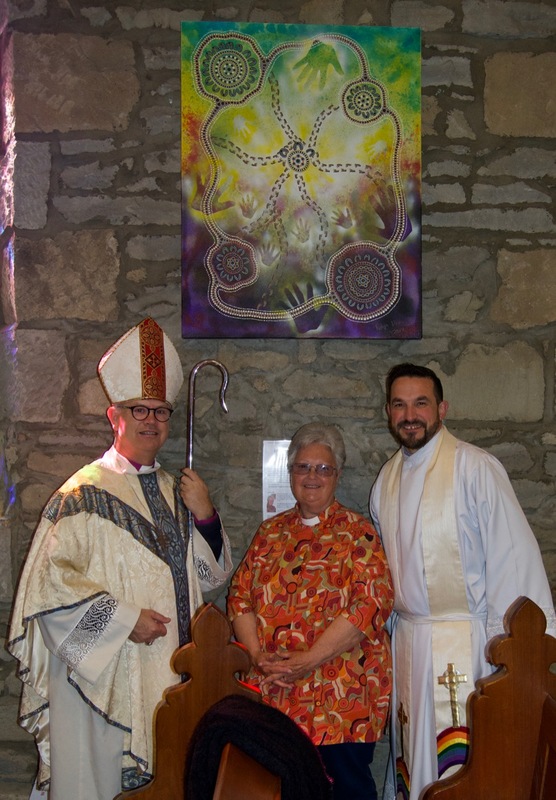 Reverend Robyn Davis from the Diocese of Bendigo was commissioned to create a painting in memory of victims and survivors of child sexual abuse by clergy of the diocese, and she was on hand to present it and have it blessed by Bishop Peter. The Painting is called ‘Healing’.